MAKESHOP » Join Us This Summer! This summer, be a part of the museum’s mission to provide innovative experiences that inspire joy, creativity and curiosity! 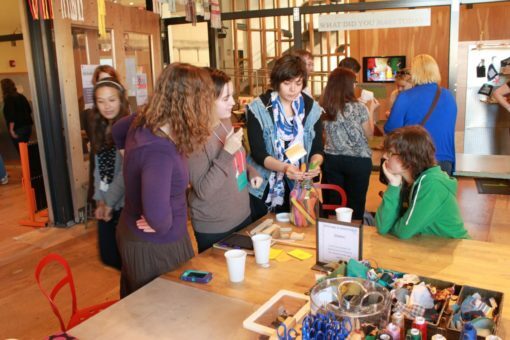 Apply to be a 2014 Maker Corps Member and work with us on awesome projects, with all ages, across the greater Pittsburgh area. 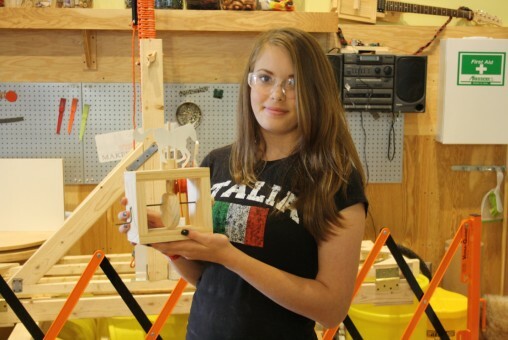 Nick created an awesome workshop called Wooden Automata which involved using wood processes to create moving sculptures. 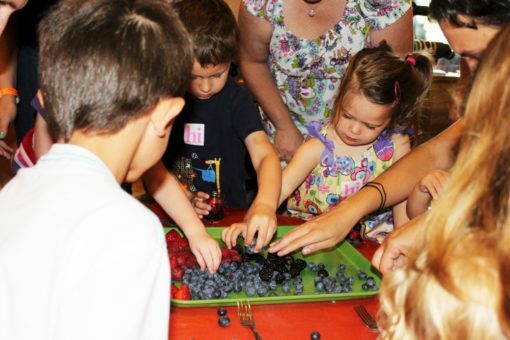 Sam enjoyed working with younger children and creating jam during a Tot MAKE activity. 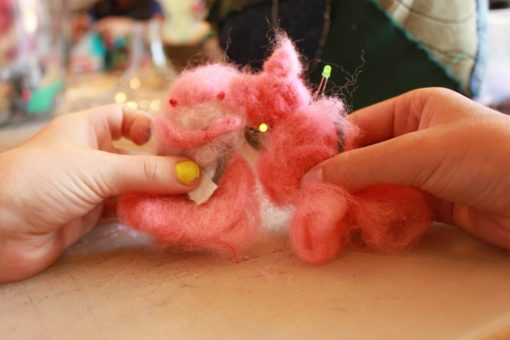 Lindsay learned, experimented with, and taught a workshop on conductive felting. All of our Maker Corps Members helped teach workshops to community educators, librarians and teachers during our summer Maker Boot Camp. 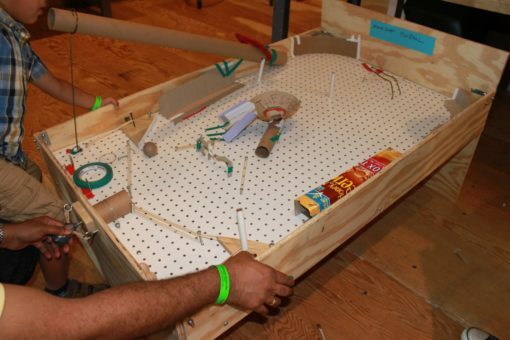 One of Lauren’s favorite projects from the summer was our DIY pinball table that we created during our “games” brainstorming phase. Pingback:	MAKESHOP » Bottles, Cardboard, and Tape — Oh my!